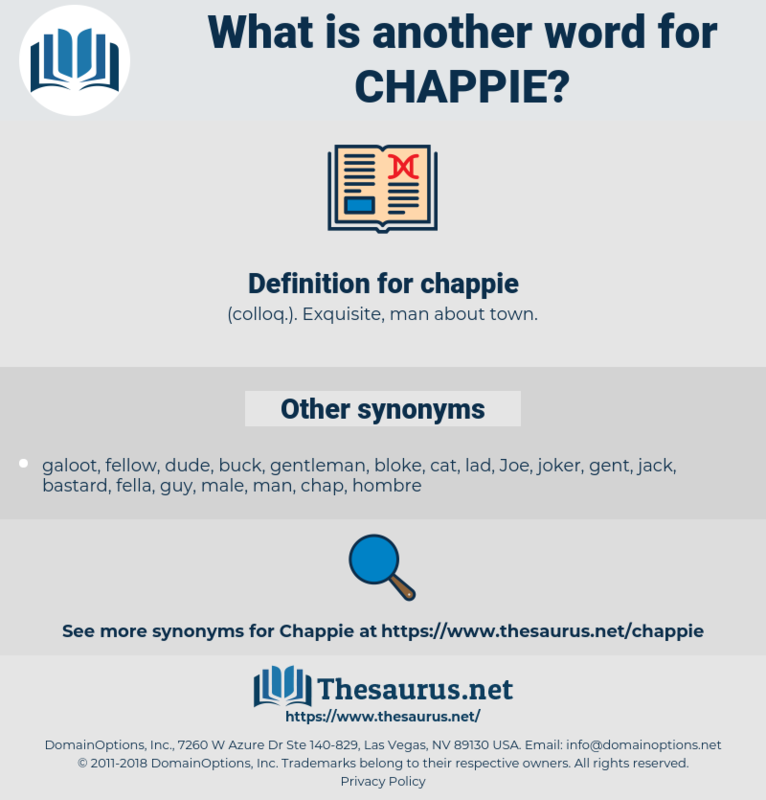 What is another word for chappie? ( colloq.). Exquisite, man about town. The Major, who was a care - free bachelor, was there himself, and also Betty Wyman, who was making sprightly comments on the passers - by; and there strolled into the box Chappie de Peyster, accompanied by a young lady.
" 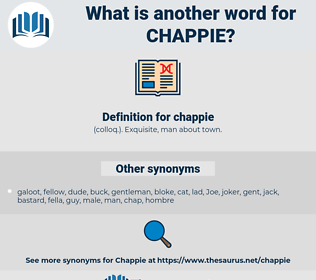 But hang it, what'll we do without the chappie?